Capitol City had great aspirations of being Colorado's capitol. Unfortunately, geographic considerations of being in a confined canyon were not considered. Today, there are several historic structures on the south side of the road of which I do not have photographs. There were also houses on the north side, of which there is one modern home. This modern home occupies part of the original Capitol City site on the north side of the road. What was once many homes is now one large, seasonally occupied, rich Texan's home. Date Taken: 2005:05:29 03:07:39 Want to use this image? See the More information tab. 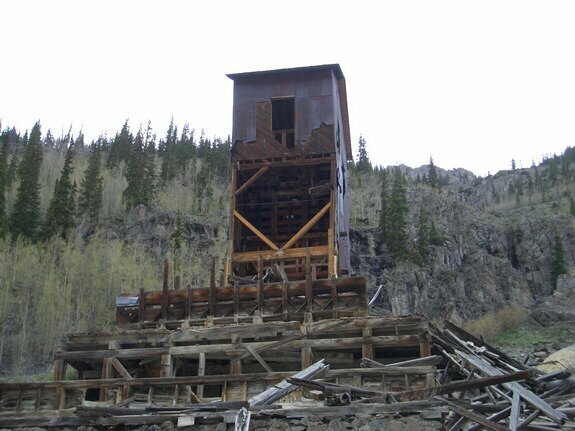 This mine has been restored and is not part of Capitol City but is within a mile of the site. 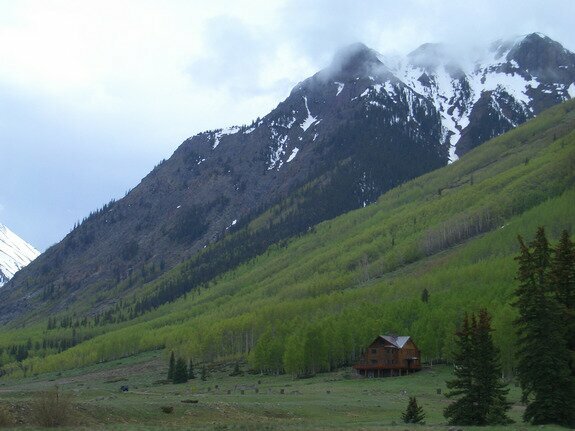 A plaque at its location remembers an Avalanche that killed several miners in the Mess Hall right next to the structure you see in this picture. Date Taken: 2005:05:29 03:27:09 Want to use this image? See the More information tab.